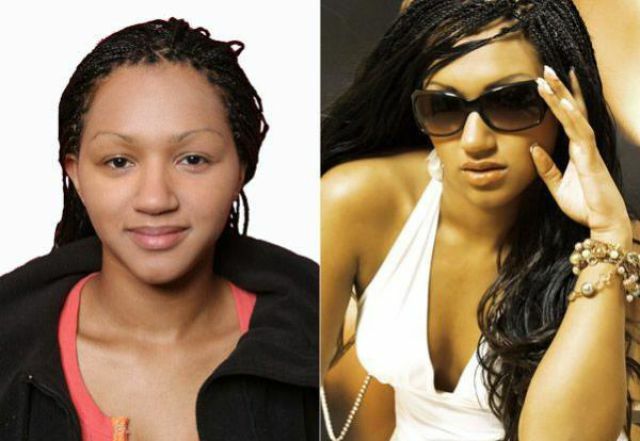 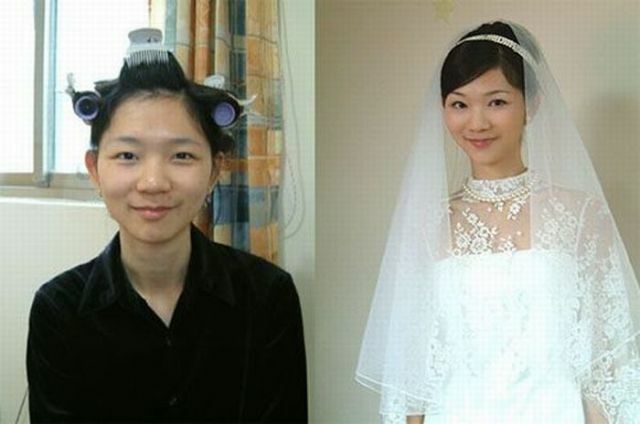 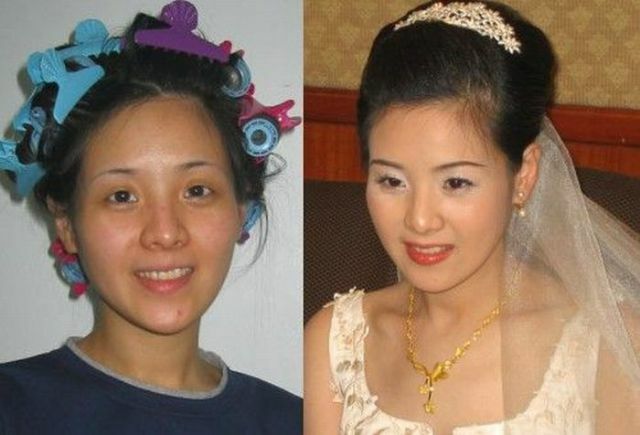 These are different women from advertisements and Chinese brides with and without makeup. 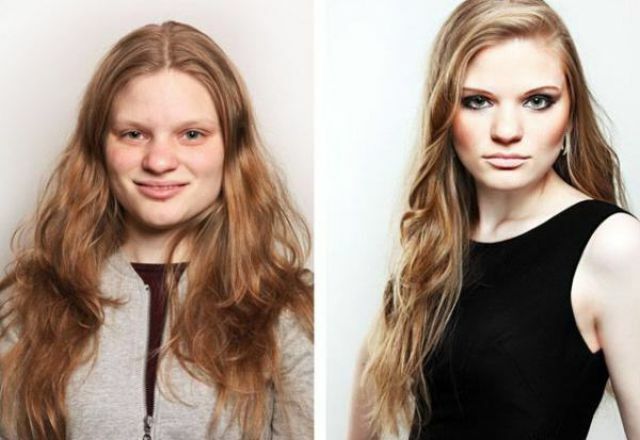 It is amazing what some makeup will do. 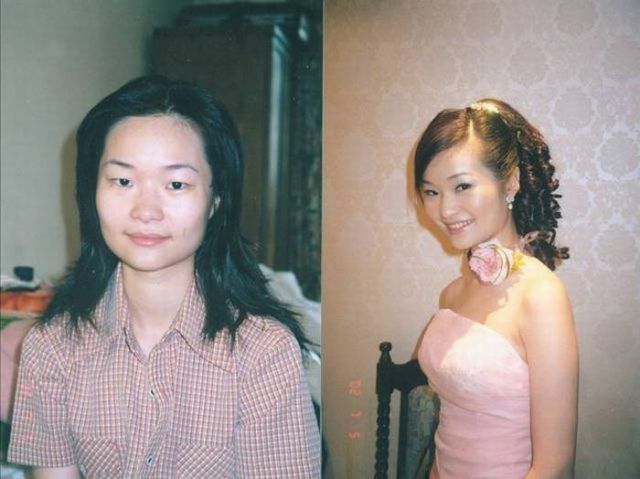 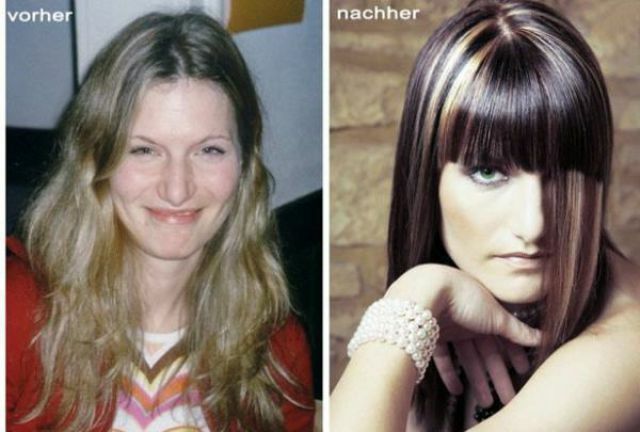 It absolutely transforms a woman from a regular looking gal into a beauty. 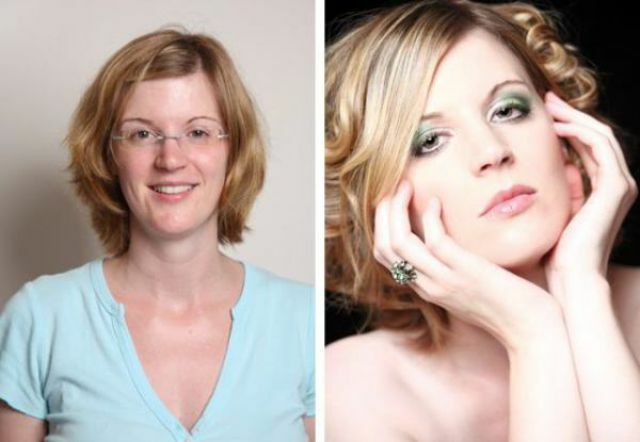 Whoever invented makeup for women sure knew what they were doing. 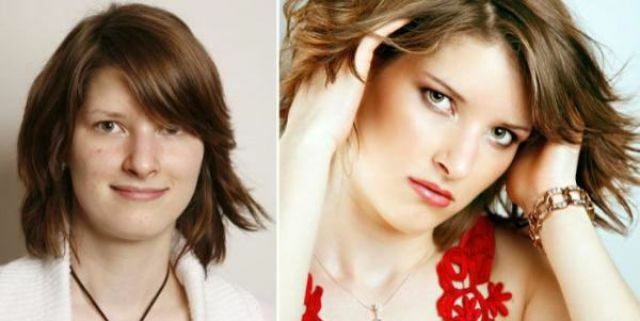 And a lot of photoshop. 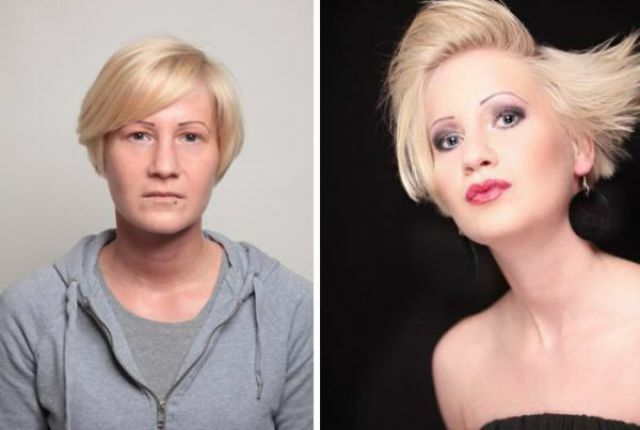 some makeup and some photoshop... and voila you are done..
no photoshop just a lot of make up new hair after things done with their skin..and the lighting but most of all the befor pictures r normal when the after pictures are all posed like models to make them look hotter.